While the world was watching her new baby brother make his public debut yesterday, Princess Charlotte quietly made history. For hundreds of years, the British laws of succession placed brothers in front of their sisters in line for the throne. But that male preference was changed in 2011, and now girls are no longer bypassed by their brothers, as BBC News reported. 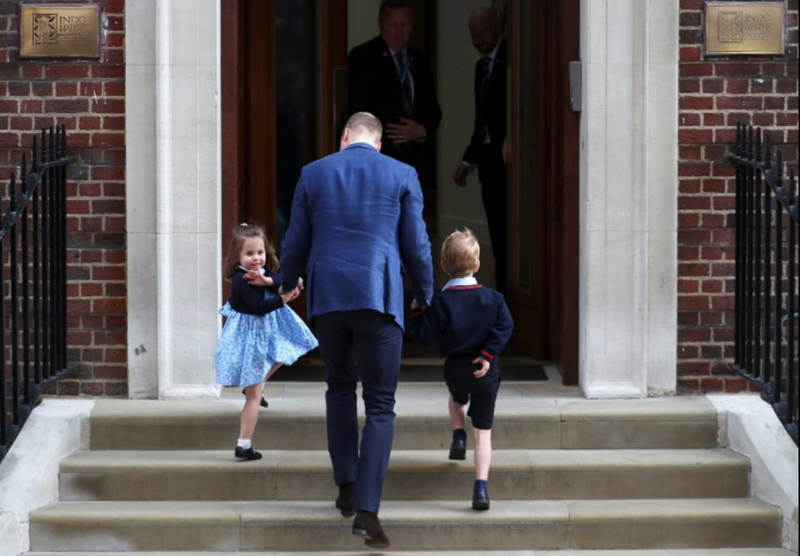 The 2-year-old princess is fourth in line to the throne, behind her grandfather, Prince Charles; her father, Prince William; and older brother, Prince George. Despite now having another brother, Princess Charlotte will keep her place in line to the throne. The changes in the rules of succession make Princess Charlotte the first royal girl to welcome a baby brother and not lose her line in succession. "Put simply, if the Duke and Duchess of Cambridge were to have a little girl, that girl would one day be our queen," Prime Minister David Cameron said in 2011. Fast forward nearly 7 years and the Duke and Duchess do have a little girl, and while her older brother, Prince George, is still ahead of her in line, Princess Charlotte's new baby brother -- whose name has yet to be announced -- will not replace her.